Nunamoochie is a fun, family business that makes gorgeous luxury wraps that people can actually afford! They choose only the highest quality materials and even hand finish each wrap to ensure perfection every time. They make woven wraps, SSC's and ring slings - everything a baby wearing addict lives for! Their wraps are ready to wear out of the mailbox, smooth, silky and with plenty of sleepy-dust! MamatheFox's 3 year old is obsessed with Nunamoochie's Sea Glass Handwoven Wrap. 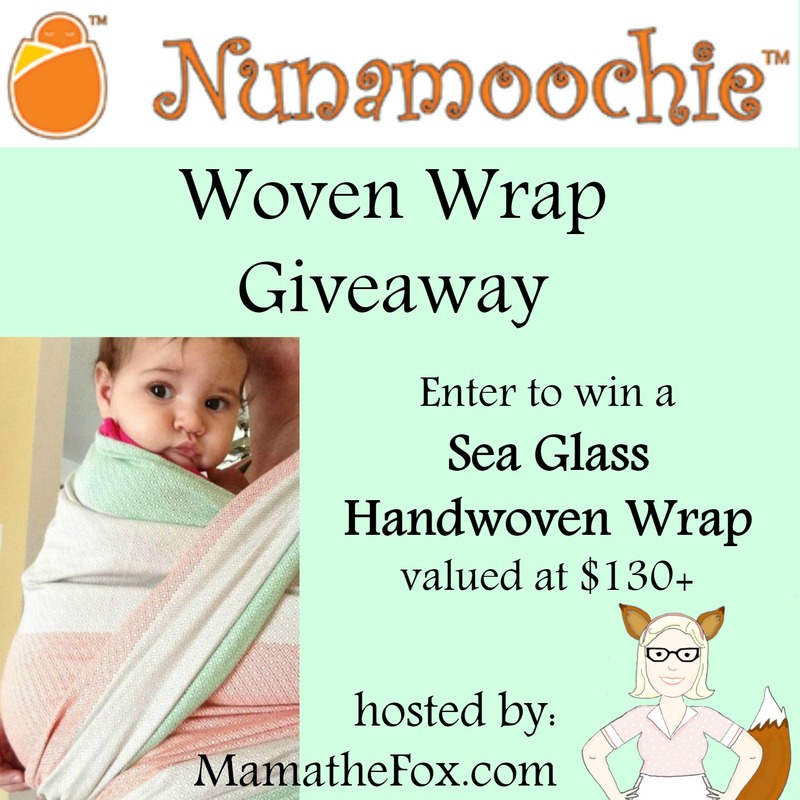 Its such a treat wearing a Nunamoochie, and now you can enter to win a Sea Glass Wrap for yourself! Nunamoochie Woven Wrap MamatheFox, and all participating bloggers, are not held responsible for sponsors who do not fulfill their prize obligations. If you would like to participate in an event like this please contact Danielle at mamathefox at gmail dot com.